Elegant and functional, our signature, multi-purpose carrés are an everyday essential, at home in the nursery and ‘out and about’ during the day in your diaper bag. Our carrés can be used as a light blanket, to change a baby’s diaper on the go, to create some shade privacy, for swaddling, to wipe baby’s face, as a tummy time blanket, to protect your shoulder when holding a young petit choux, and more. 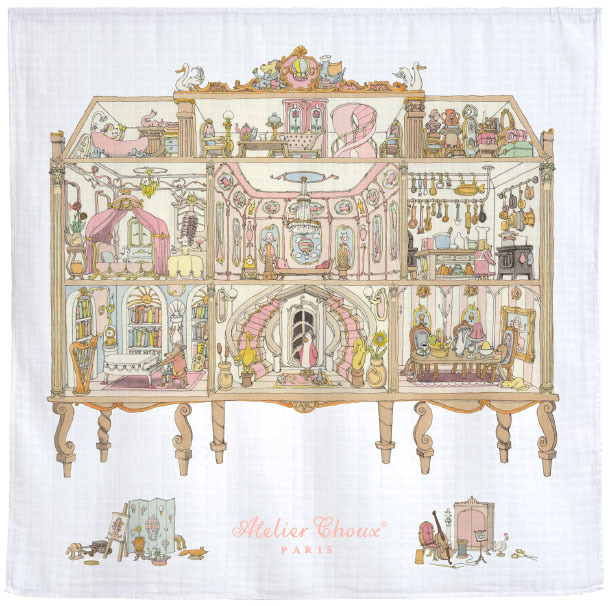 Designed in the style of a Parisian ‘hotel particulier,’ Atelier Choux’s signature packaging contains three organic cotton ‘carrés − your choice from our introductory collection of 22 prints. This gift set is elegant, unique and multi- functional, making it the perfect gift to celebrate a birth or birthday. 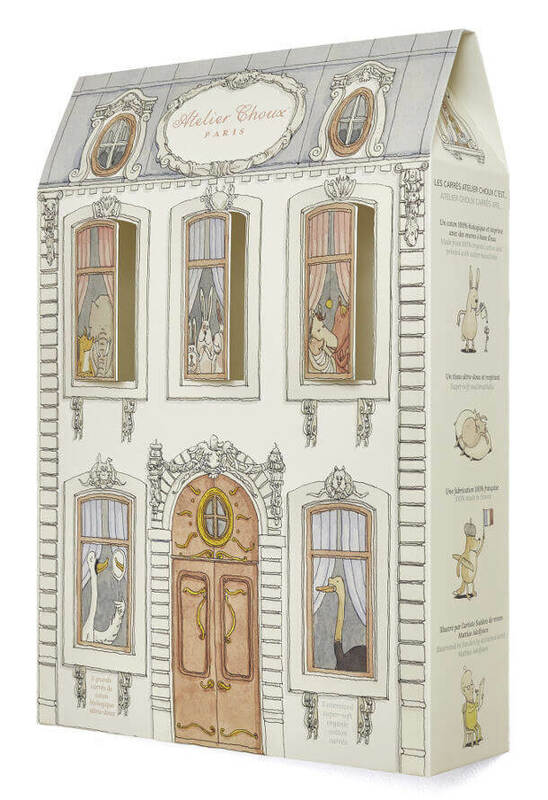 Like our carrés, Atelier Choux’s hotel particulier is illustrated by Mattias Adolfsson and features the interaction between ornate architectural elements and gentle animals. The top floor’s windows open to showcase each carre’s unique print. 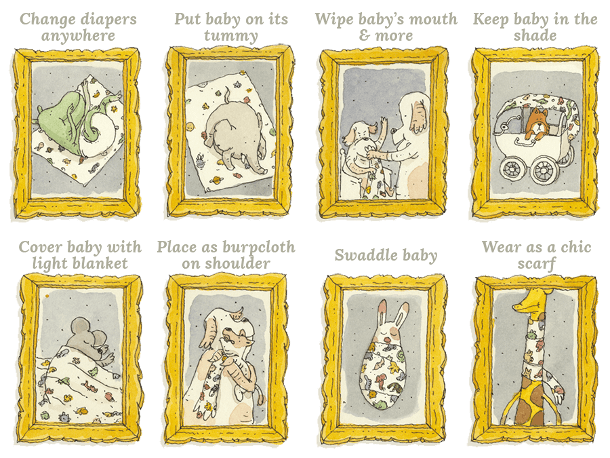 We hope our unique packaging can become a permanent part of your child’s nursery or bedroom.